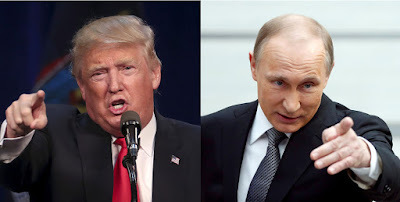 The President of the United State, Donald Trump is going to attempt to discuss the issue of the nation of North Korea with Russian leader Vladimir Putin. This trip through Asia should help distract people from the Trump-Russia debate that's been going on ever since he got elected into office. The Asia tour will be around thirteen days. President Trump is set to meet Russian leader Vladimir Putin in the city of Da Nang, in Vietnam. Trump will also visit three Asia capitals on his visit. The president is going to head to Seoul and Beijing for a chat that's going ot cover trade and of course security. Putin and Trump need to talk about North Korea because the rogue nation is becoming a constant issue for many countries. North Korea's leader Kim Jong Un has threatened to attack neighboring nations with atomic weapons on multiple occasions. This has caused the Trump to want a meeting the Russian president to try and evaluate the threat and see if anything should and can be done. This trip also has the potential to distract people from the still ongoing debate on the Trump and Russia collusion which has seen so many different back and forth with arguments on both sides. It's certainly something that people care about and that people want a clear and thorough investigation of it all. It's even been the topic of discussion for many people since President Trump was first elected into office in 2016. However, the trip obviously might not distract everyone from the topic.